ABOUT — Jamie Bush + Co. Growing up in an eccentric family of dairy farmers on Long Island and a small clan of renowned designers, photographers and artists in Manhattan propelled him to study art and architecture in New Orleans and in Venice, Italy with a strong focus on an organic modernism and the natural world. After receiving his Masters of Architecture from Tulane University, Jamie headed west seeking to discover the unsung heroes of mid-century modern residential architecture in Los Angeles. After stints at Marmol Radziner and Kelly Wearstler he founded his own interior architecture and design firm in 2002 and has since been fortunate enough to have worked on some of the most significant historical residential modernist homes in the US. Recognized for his ability to blur the lines between architecture and interior design, his ethos has always been to approach the design of a space as one holistic vision. Admired for his relevant and keen understanding of architecture and design, his firm has collaborated with some of the most respected names in the business including Steven Ehrlich, Marmol Radziner, David Hertz, Walker Workshop, and Barbara Bestor just to name a few. 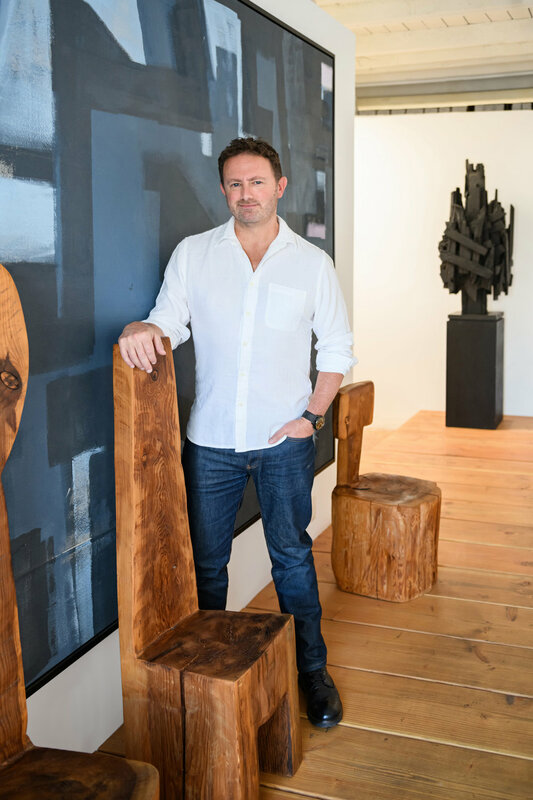 Jamie’s designs have been featured in over 70 publications worldwide including Architectural Digest, Interior Design, Vogue, Elle Decor, Wall Street Journal, Los Angeles Times as well as several coffee table books. Winning an AIA award for his restaurant Bird Dog in 2016 and appointed to the Tulane School of Architecture Board of Advisors in 2017 to help guide the university’s vision for the next four years. "Jamie has become a standout in his field due to his unique ability to bridge the gap between architecture and interior design. He is able to create a total holistic vision for each project seamlessly blurring the lines between the building and the decor."